Did you know that we get fresh produce from our hand-picked produce vendor 3 times per week? We also know that you will probably throw away most of that big bundle of celery you bought at the other store because you only needed two or three stalks for your recipe. We break down produce (celery, lettuce, cabbage, etc.) into smaller quantities you’ll actually use, with no waste. Eating well and getting plenty of exercise is the key to a healthy body. We know you only want to serve your family the freshest ingredients possible. Haddad’s Market is your place for fresh produce. Come on in and see Jim, the head of our produce department. He has more than 30 years of experience in the produce business. 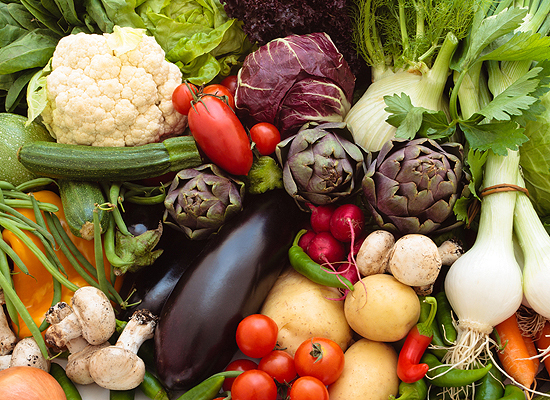 We stock a full line of quality fruits and vegetables that are picked at the peak of freshness. From crisp lettuce to crunchy apples, you can count on us to provide you with the quality products you love at a price you can afford. We are always here to answer any questions, so please don’t hesitate to ask. Need some suggestions on how to bake the perfect pie? Or how to choose the ripest cantaloupe? We have all the answers. 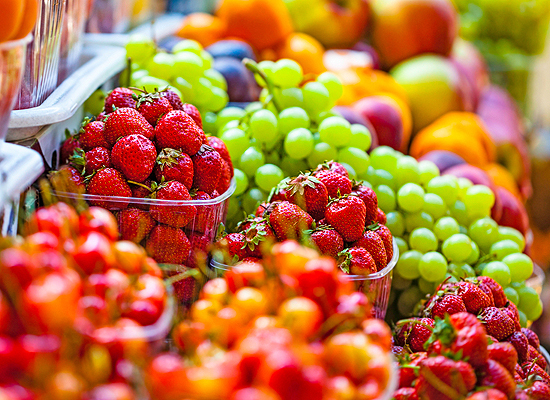 The produce department at Haddad’s Market also makes fresh fruit baskets for any occasion. Just call ahead and order. All of our produce is supplied by Indianapolis Fruit, a leader in the industry for high-quality produce in the Midwest. 309-674-0040. For your convenience, we’re located at 2407 West Rohmann Avenue in West Peoria.